Restaurant Business Owner's Package(BOP) can be designed based for the challenges that you face as a business restaurant owner. Business Property insurance covers losses if a fire, hail or another event damages your building and equipment, which could force you to close your restaurant's doors. 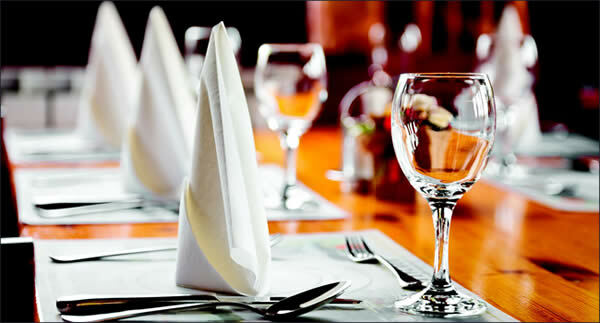 It covers your restaurant location and inside contents including fixtures, furniture and valuable restaurant equipment. Choose Business Liability insurance for accidents, mistakes or injuries that may occur at your restaurant. This may include a customer's claim of a broken tooth or illness because the food served at your restaurant was tainted. Unfortunately, employee theft, robbery and forgery are obstacles you may encounter as a restaurant owner. Business Crime Insurance covers you for losses both within and outside your restaurant. Accidents involving your employees may happen even in the safest, most code-compliant kitchens and dining rooms. We offer Workers' Compensation insurance for your restaurant so you are prepared when those accidents and illnesses occur. Here are some of the coverage options that are available to you to help you with your insurance needs.